Being the National Park junkie that I am, day 2 brings me to Oregon’s only National Park: Crater Lake. If you haven’t read Day One’s trip down the Oregon Coast, you can find that post here. The most popular way to enter the park is from the south via Mazama Village. I actually entered the park from the north, but headed straight to Mazama to get gas and have some lunch. Mazama Village is the only gas station nearby, sporting a single 87 octane pump. 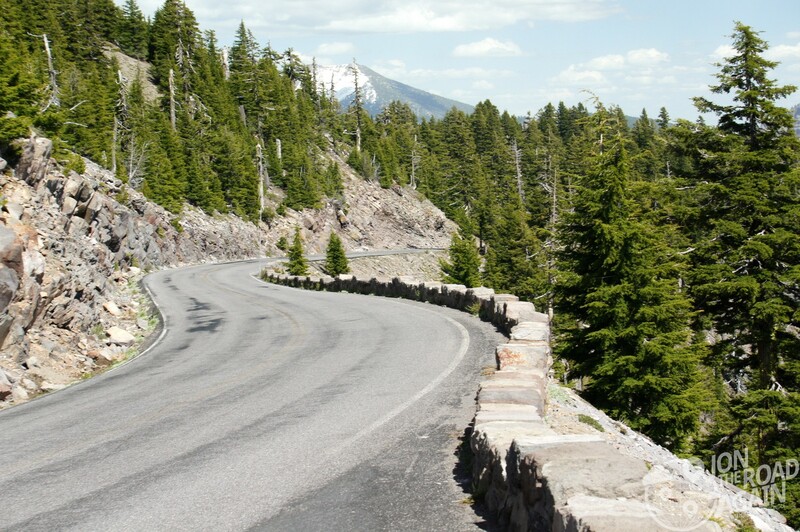 The twists, turns and elevation gain of Munson Valley Road lead to Rim Drive, the 33 mile road that follows the edge of the crater. It’s curvy and fun too, but don’t fixate on the scenery or else you’re in for a steep fall. 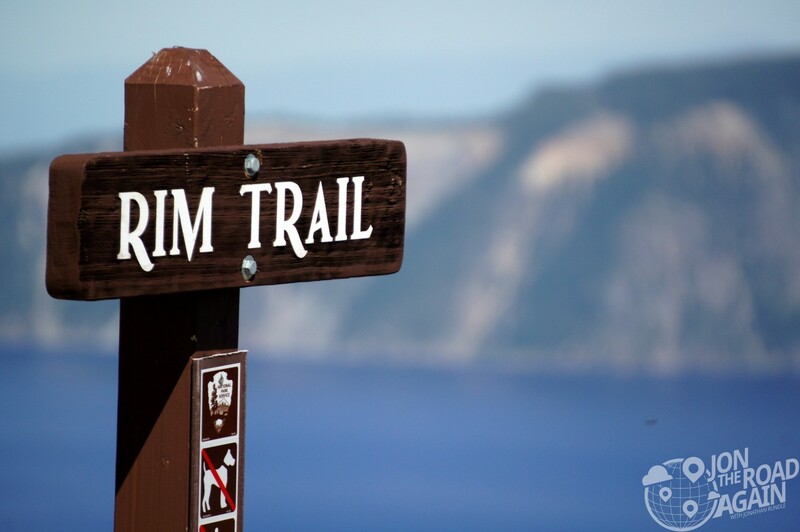 The first stop on Rim Drive is Rim Village, home of the famous Crater Lake Lodge. This is essentially tour bus town. 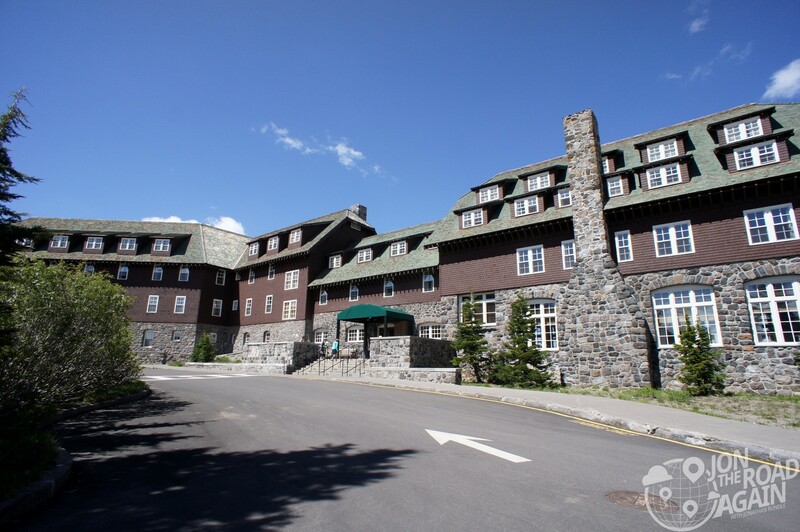 Take a look at the lodge and get out of there. There are plenty of viewpoints along Rim Drive and they’ll all be less crowded than this one. 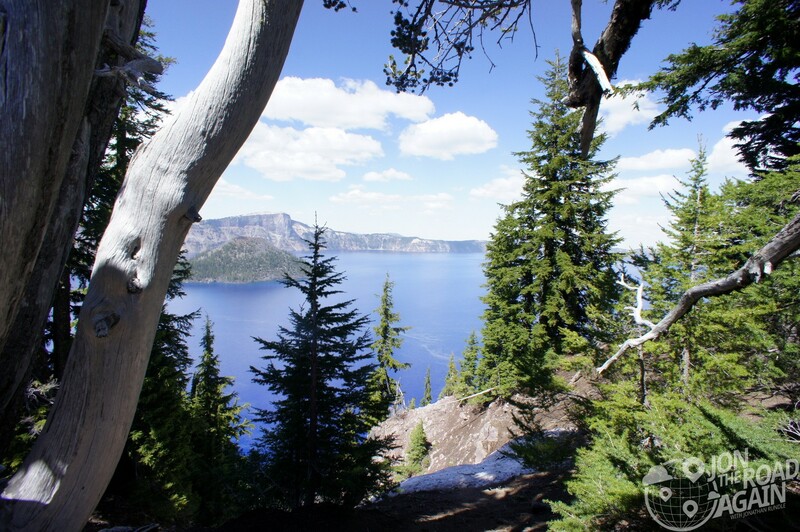 The elevation of Crater Lake means you’ll have a great view across the valleys below to other prominent mountains in the area. 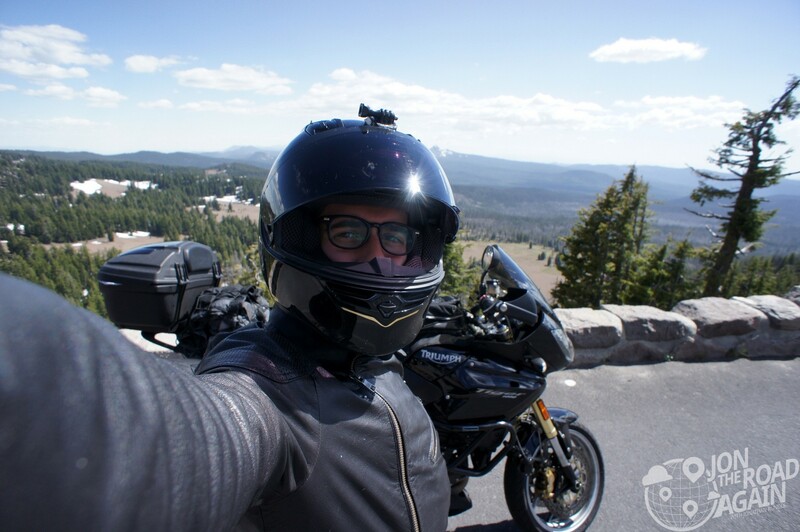 Behind me in this photo is Union Peak and Mount McLoughlin. At 7,714 ft. and 9,495 ft. respectively, they’d be star attractions anywhere else. Here they’re second fiddle. First fiddle, of course, is Crater Lake. The deepest lake in the US, the ninth deepest in the world. The lake resides in the collapsed caldera of Mt. Mazama, an active volcano. Sometime around 5,677 BC, the 12,000 ft. volcano blew it’s top and collapsed creating a bowl for collecting rainwater and snow melt. There are no rivers or streams leading out of or in to Crater Lake. The famous Pacific Crest Trail (yes, the one Reese Witherspoon hikes in Wild) connects here. 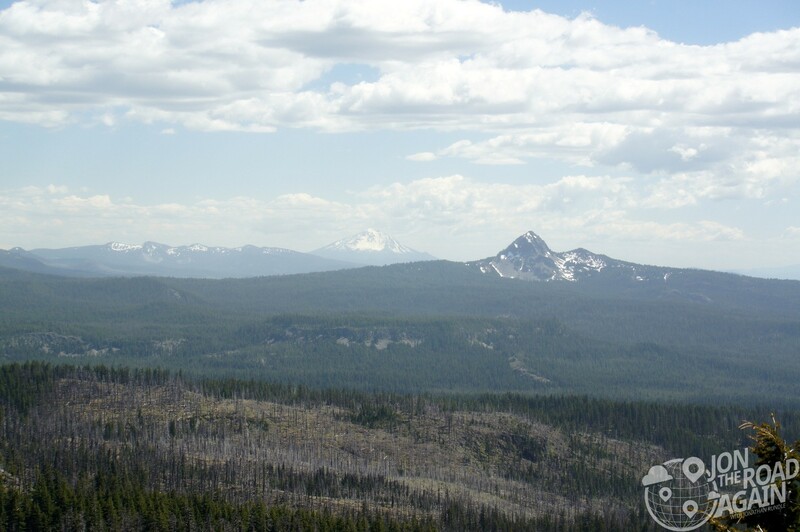 Out of Crater Lake, I’m heading north toward Mount Thielsen (shown here in the distance) and across the Pumice Desert to spend the night in Chemult. 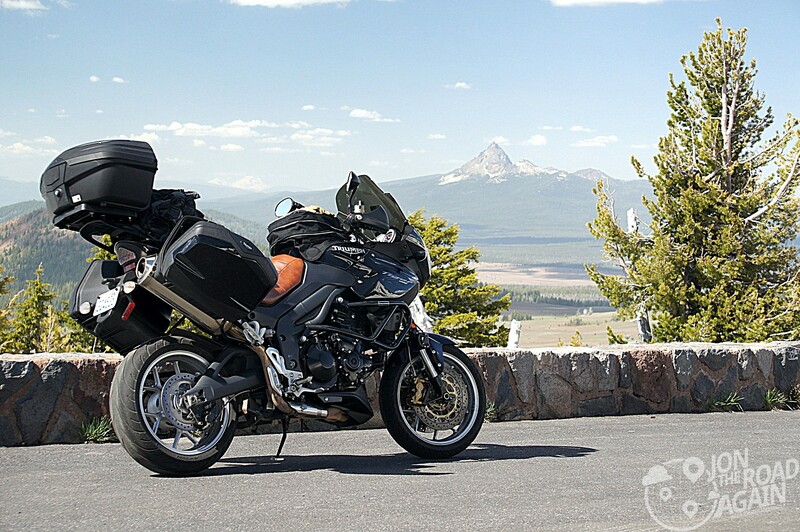 Tomorrow I ride to Mount Hood. See you at the top!